We've all had that one Christmas that was stressful, expensive, exhausting, and left us needed a vacation. For me it happened when I had kids and tried to be super mom. I was going to do everything to give my kids these amazing memories that would last a lifetime. Ha! What a joke! All that happened was me losing sleep and running around like a crazy person. Last year I decided that something had to change for my sanity. I knew all my kids were going to remember was a mom who was stressed out and didn't enjoy Christmas if I kept it up. Instead of trying to do it all, we needed to stick to doing the most important things instead. But to make the changes my husband and I wanted to make required us to use the N word and stick to our guns. No. It's a powerful word and sometimes it's hard to say. Like when the children's director decides that she thinks it would be fun to have homemade cookies for the kids tomorrow morning at church and could you whip up 3 dozen cookies tonight? Or when your child's teacher calls and needs someone to help with the party the same day you have plans to shop with a friend. And when you get pressure to come home for Christmas regardless of the $2500.00 plane tickets. Saying no is hard, especially when part of you wants to do these things. Last year Brett and I were determined to have a calm Christmas without all the running around and last minute stress. We wanted to continue our traditions and knew we had to be intentional with out time. To do that we started with building a calendar of activities. We wrote down all the Christmas activities we wanted to do and planed them out. We even included family game night and watching our favorite Christmas movies. I put something on the calendar everyday for us to spend time together, even if it was a simple as eating out lunch after church. 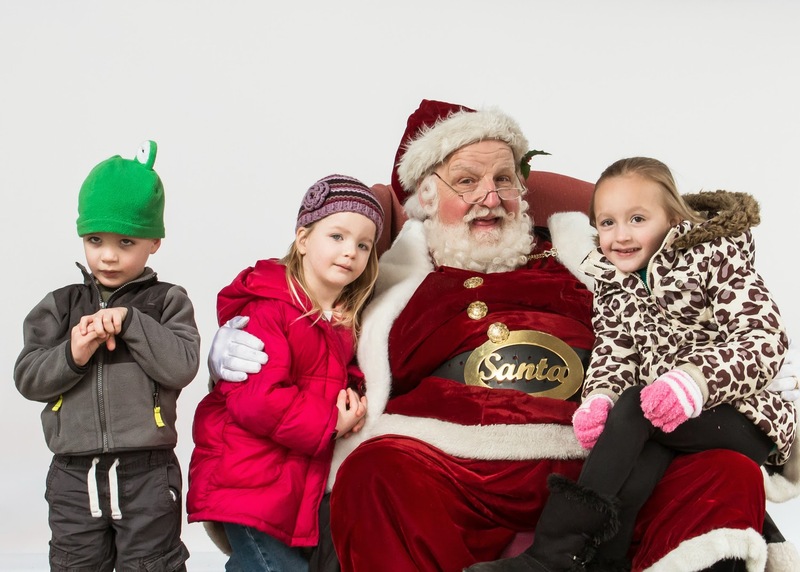 Seeing Santa is a must for our family! The point of the calendar wasn't to keep us busy, it's purpose was to keep us connected and not miss anything we wanted to do. Something magically happened after we made the calendar, we got really good at saying no. When we were invited to a party we didn't want to attend I easily said we already had plans. I didn't feel guilty at all, even though our plans were to watch Charlie Brown and have a family sleepover in the living room. When Christmas arrived we didn't feel stressed out and Brett and I loved spending so much time with our kids during the month of December. I think as mothers we want to do everything but that is an impossible task. Life was much better once we simplified things and did the things that matter the most. Christmas Eve service in a barn. Pretty sure Mark thinks we're trying to slaughter him. 1. Put work and school obligations on there first. You know you're not missing your kid's recital so block out that time. 2. Plan fun things away from the house that are special to Christmas. Attend a tree lighting for your town or go ice skating. 3. Plans simple things to do at home like making s'mores or movie night. 4. Be flexible - if something new pops up make room for it IF it's something you actually want to do not something you think you should do. 5. Write down the things that were horrible the year before. I actually did this in January so I wouldn't forget just how awful it was. Like the horrible Santa train - never again! Never! 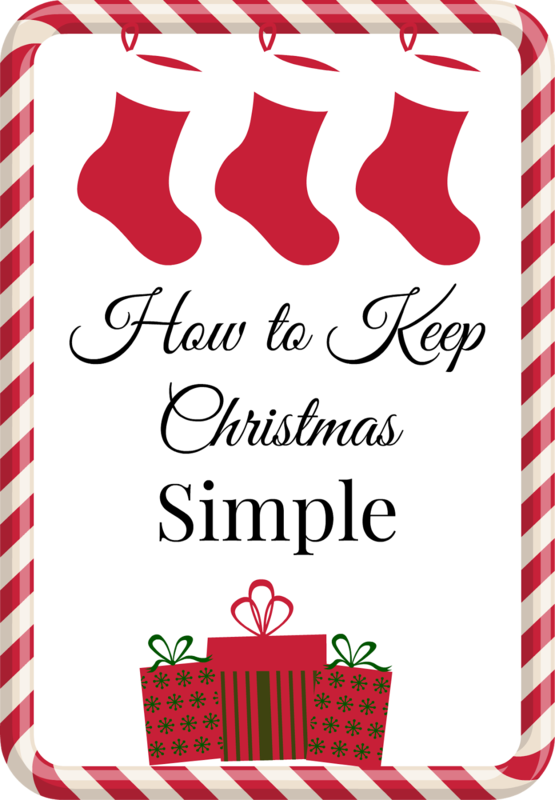 How do you keep Christmas simple in your family and stay connected? I learned to start saying no to a lot of stuff during the holidays. One of the things we do is not traveling on the holidays, especially Christmas. We are the same way. You're more than welcome to come to our home for Christmas but we are staying home. It's too stressful not to mention expensive to fly 5 people across the country during Christmas. That is a great idea. I need to start saying no. It's a very powerful word.